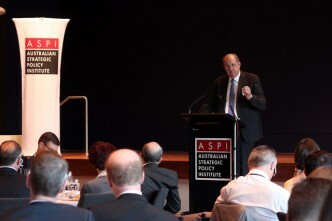 Last week, Defence Minister David Johnston spoke at ASPI’s National Security Dinner. As usual, security pundits and journalists read between the lines of the Senator’s speech in terms of deeper meanings for Australia’s strategic and defence policy. As Patrick Walters points out, one message was particularly clear: finding more money for Defence will remain a serious challenge for the Abbott government. (That won’t surprise Mark Thomson.) However, for me the Minister made a second, equally important point: Australian defence policy needs to get serious about the strategic challenges in Asia and that requires a greater focus on where the real strategic action is, i.e. in North and Southeast Asia. 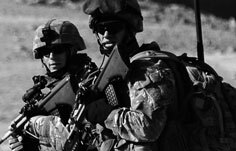 The previous government’s line was that as the Afghanistan operation was coming to a close, Australia could ‘rebalance’ to its immediate neighbourhood (South Pacific, Timor Leste and Indonesia). The 2013 Defence White Paper readjusted the strategic narrative and not only downplayed Australia’s strategic engagement in North Asia, but also provided a more optimistic outlook of the security environment as well as the implications of China’s rise. It concluded that the best way to face increased multipolar strategic competition was to focus on improving defence infrastructure in Northern Australia, increasing regional defence engagement, and selectively bolstering ties with the United States. … vital national interest in freedom of navigation of the seas and of international airspace, including in Southeast Asia and [n]orth Asia, which are critical markets for us. This is vital to our economic well-being, not simply a theoretical statement of principle. This statement implies that it will be difficult for Australia to escape the accelerating dynamic competition and cooperation in these regions. While the Minister emphasised that the door is open for greater defence cooperation with Beijing, he also reiterated that Australia had joined the US, Japan and South Korea in expressing ‘some degree of concern’ about China’s recent declaration of an Air Defence Identification Zone (ADIZ) over the East China Sea. He also stressed that the Abbott government was ‘actively looking for opportunities to enhance practical cooperation with Japan in areas of Defence’, supported ‘Japan’s moves towards a more normalised defence posture’, and that strengthening trilateral defence cooperation with Japan and the US was a ‘priority’. This echoes similar comments by Prime Minister Tony Abbott and Foreign Minister Julie Bishop regarding Japan’s strategic importance and the government’s firm opposition to China’s ADIZ. In terms of Southeast Asia, Johnston unsurprisingly focused on repairing the relationship with Indonesia, but also pointed to the importance of further improving defence relations with Singapore and Malaysia. Compare that with the South Pacific and Timor Leste, which received a single sentence. What does it all mean? While analysts have a tendency to overanalyse government statement in search of indicators for policy change, I’d argue that the Defence Minister’s speech did indeed signal readjustments in Australia’s defence policy. Firstly, there’s a recognition that the last defence white paper was too optimistic about Asia’s strategic future, particularly in regards to China’s strategic trajectory. As I’ve argued previously, Beijing’s new ADIZ is part of broader attempts to coerce Asian neighbours and the US into accepting China’s hegemonic ambitions. In the Abbott government’s defence white paper (scheduled for 2015) expect a return to the 2009 strategic narrative, which pointed to the downsides of China’s growing military power. As Malcolm Davis points out, the new government won’t be able to avoid the growing risks associated with China’s strategic rise. Additionally, since these trends directly affect Australia’s strategic interests, Canberra’s ‘pivot to Asia’ means that we won’t be able to focus predominantly on our immediate neighbourhood. 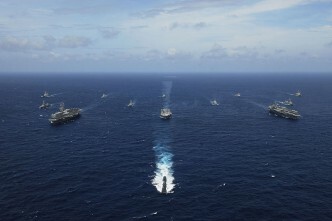 Instead, whether we like it or not, Australia needs to increase its defence engagement with key players in north Asia. That’s might be behind the Minister’s stressing of the growing importance of the US alliance, Japan, South Korea, and China. For Australia, staying out of critical issues such as the ADIZ, as some have suggested, isn’t a viable option. 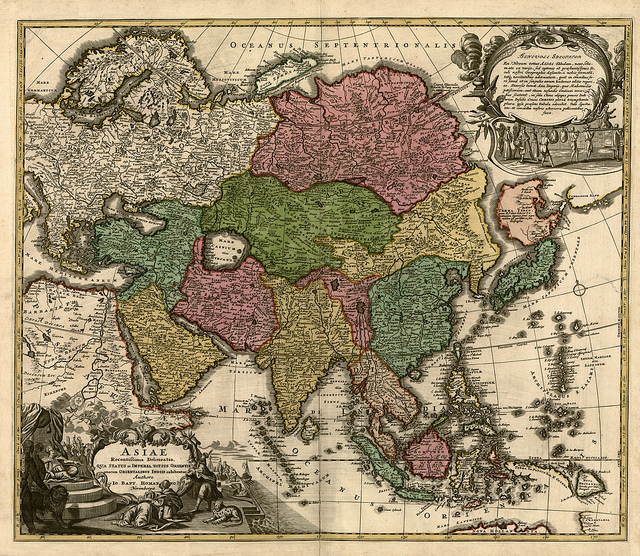 Moreover, Southeast Asia is becoming increasingly volatile in the face of ongoing regional military modernisation and China’s extensive territorial claims, consistent with Johnston’s emphasis on the growing importance of players such as Singapore, Malaysia, Indonesia and India. Finally, Johnston’s speech implied a closer alignment between strategic narrative and force structure. The fact is that for quite some time now the ADF’s force structure priorities are based on ever closer integration with our US ally, which is preparing itself for greater strategic competition in North and Southeast Asia. Accordingly, the Minister stressed the importance of retaining a high level of ADF readiness and increasing its high-intensity warfighting skills in conjunction with the US. This also means that the concept of ‘defence self-reliance’ could even further loose relevance as the real basis for Australian defence planning. Instead, we might enter into a period of ‘Forward Defence reloaded’ which would make Australia’s strategic policy much more consequential but would also acknowledge the new strategic realities in Asia. Benjamin Schreer is a senior analyst at ASPI. Image courtesy of Flickr user Monsignor Klaatu. 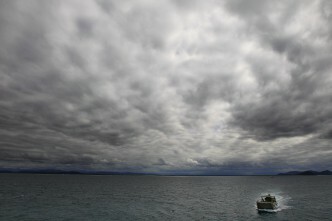 A ministerial-led sea-change on the way?